Oh, propaganda. Even in movie form you were too serious for your own good and just ended up being ridiculous. Rocky IV, with Sylvester Stallone in the director’s chair for the third time, and once again starts with the ending of the last film: Rocky and Clubber Lang beating the living day-ah, you know the drill. The film then fast-forwards to 2 years later, and the Soviet Union announces that their best fighter Ivan Drago, played by then newcomer Dolph Lundgren, can defeat Rocky Balboa. Of course, Apollo Creed, being his usual self, decides for an exhibition match between him and Drago, but, as Stu Nahan said, ‘A joke quickly turned into a disaster.’, as Apollo CreedSPOILERS dies, it’s up to Rocky to defeat the Russian and regain the American pride. Now, let us get the elephant of the room out of the way right at the start-the Cold War symbolism. It is blatant that Rocky is portrayed as the ‘all-American hero’, whereas Drago and the Soviet Union in general was shown to be cold, uncompromising and relentless. Rocky’s end speech with the line, ‘Everybody can change!,’ basically solidifies the overall cheese that this movie offers. Bill Conti does not, in fact, return to score, and is replaced by Vince DiCola. I was quite surprised by that, and his score here, especially Ivan’s Theme, are quite reminiscent of the score ofTransformers The Movie that came out a year after this one, which is understandable, since he scores that one as well. ‘Gonna Fly Now’ is not used, instead being taken over by cheesy 80’s songs, another proof that the Rocky series has moved to a completely different style. All in all, this is not the Rocky from days past. Heck, this blowsRocky III out of the water for cheesiness. But hey, if you like that kind of stuff, good for you, but the amount of it was just a tad too overwhelming. 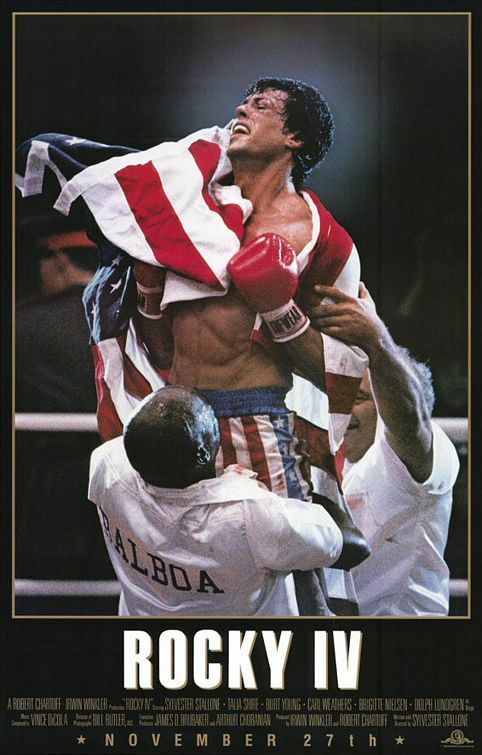 This entry was posted in Film, Movie, Review and tagged 1985, Review, Rocky IV, Sylvester Stallone. They pulled it off. I do NOT know how they did it, but they managed a make a movie based on a board game of all things, and made it actually fun to watch? Battleship, this ain’t. 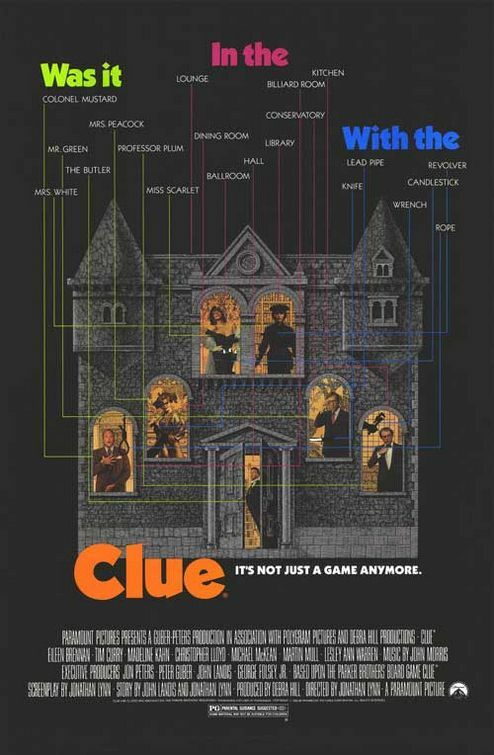 Clue, directed by Jonathan Lynn, is a comedy mystery film. It is, obviously, based on the board game, and is well known for its different endings, which I will not spoil. The story takes places In 1954 England. Six strangers are invited to a mansion by an unknown host. As the host and his servants are killed, the occupants begin to get nervous as they fear they will be next. I shall not spoil the plot any further, as doing so would be removing half the fun. Yes, my readers, this movie is quite fun. The comedy is a mixture of Tim Curry, clever wordplay, pratfalls, Tim Curry, some slapstick à la Three Stooges, and Tim Curry. Oh, and did I mention Tim Curry? He is the definite show-stealer in this picture, and I’m the more happy because of it. 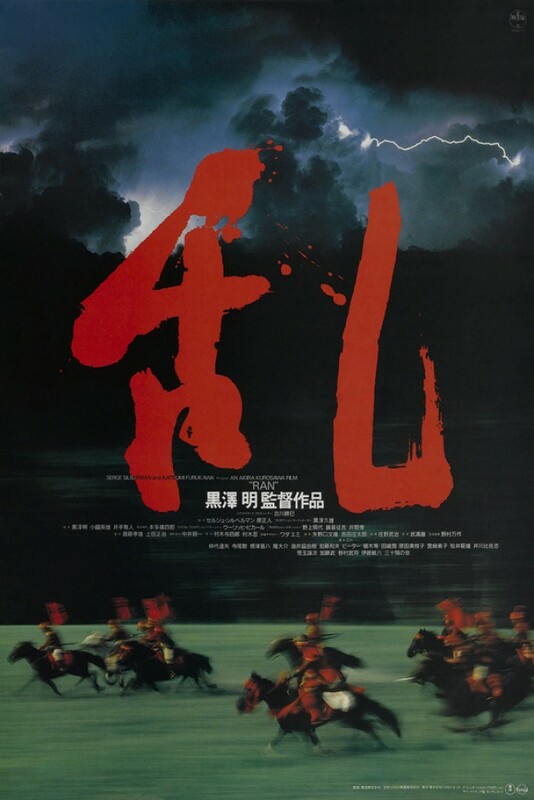 If there is anything that I have to say negatively about this movie, it’s that the ending does feel like it came out of nowhere, and with – minor spoiler– Tim Curry’s character suddenly explaining who the murderer is in rapid fire mode, I’ll admit that it was quite hard for me to keep up, as stated by the other characters. But in the end, this only hampered my viewing experiences slightly. In conclusion, Clue is a well thought out, well performed film. I recommend it to anyone who likes a good light-hearted mystery, and to anyone who just wants to see Dr. Frank-N-Furter himself hamming his way through a movie while being British. Trust me, as a Tim Curry fan, it is spectacular. This entry was posted in Film, Movie, Review and tagged 1985, Clue, Review, Tim Curry.